Today I got to use the German made Heliopan Variable ND filter and I have to say it’s probably the best out of them all and I have tried them all! Solid construction, glass apparently from Zeiss. Light control of 1-6.6 stops (0.3 to 2.0 ND density). Markings with hard stops (NOT clicks, it is still smooth, it just has hard end points) so ND is repeatable. It’s also very thin so will vignette on only the widest of lenses. I tried it on my Tokina 11-16 at 11mm on the T3i and only the very corners showed signs of vignetting. It’s tack sharp with no colour shift that I can see!! It’s surprisingly heavy, actually i would say reassuringly heavy! Though of course there is a downside. It’s not cheap, but few really good things in life are! You can get it at Amazon.com below or special order from your local retailer. I have the 77mm one, probably the one to go for and you can use step rings for smaller filter lenses. I managed to get it much cheaper than the below price in Portugal, I paid 225 Euros which is about $330. The Singh-Ray thin 77mm my main Variable ND filter does not vignette at all at 11mm on the Tokina but there is a slight colour shift and it’s not as tack sharp as this or precise but it retails for for just under $400. On a budget then the newer batch of Light Craft Workshop Fader NDs are still good. I used their superb 4×4 drop in mattebox fader filters on the Alexa shoot and they were superb. Otherwise the new generation of Genus Fader ND filters are also good. It’s just if you want absolutely pin sharpness then this Heliopan is the clear winner. it’s more money isn’t it? I had the genus nd fader, and I felt it made my prime glass worthless, soft image, vignetting and slight color change. So what do you folks think, is it possible to retain prime lens quality with a nd fader or do you suggest using a normal single filter (not vari nd) as mentioned below? Looks nice and I can see the benefits of the click stops and low profile compared to my Genus which limits my 24-70 to about 28 on the 5D. I completely and wholeheartedly agree with the bit about it not being cheap. Hello, this is the first time I’ve said anything after reading your site for about a year now. Thank you for all the time you’ve spent helping those who are less knowledgeable than yourself. What is the difference between this and the Singh Ray you used to advocate? Thanks for the tip! I just bought the Fader ND Mk2 and I must say I’m extremly dissapointed as it softens the image quite alot and has a huge green tint. I find it useable for the first 1-2 marks but no further than that. For narrative/fictional work I’d use normal single filter any day. Thanks mate! I’m just in the process of choosing a variable ND for my Nikon D7000 and Sigma 50mm 1.4. So good timing. This reaffirms that I am the centre of the universe 😉 Loving your blog from Byron Bay, Australia! Good old german products. Chinese equipment may be cheaper, but your test once more proofs that you obviously get what you pay for. Although 400$ (or around 200€ here) for a filter… that’s harsh. What do mean by hard stops? Does this make it not so good for video if you need to change exposure during filming? Actually the “smooth way” like in the Fader ND was allowing me to “run&gun” and change aperture if needed in a smooth way while using an electronic Canon zoom lens (17-55mm). have you tried it on a long lens? Hey Philip love the blog you honestly rock! I went and bought a 7dayshop vari ND for 20 quid and thought it was pretty dam good… would love to see it go head to head with this monster! I’m surprised nobody has mentioned the recent Schneider’s product (True Match vari-nd kit). I guess it is not the best solution for SWA lenses but anyway it looks very promising. Filter holder made by Lee, glass by Schneider, “11 stops of attenuation with no blue color shift at max density” they say. What about schneider true match vari-nd kit? 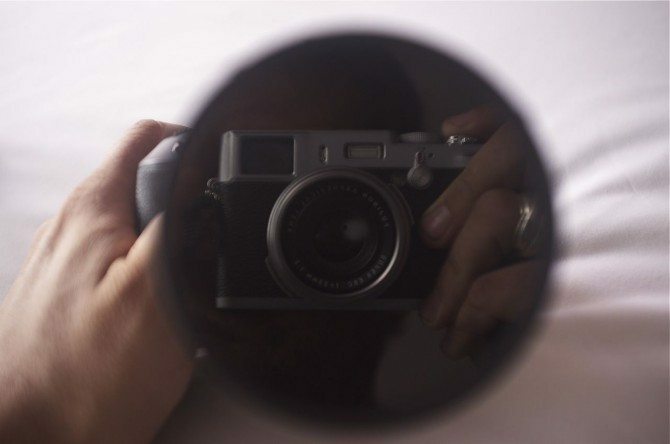 BTW How do you like the Fuji X100? I lied -that was the 10=stop nd – sorry! After using NDs from LC and Genus for over a year, I’ve been experimenting with shutter speed to act as an ND. For outdoors it works a treat. It only becomes unstuck when you’re filming indoors with lights or monitors at 50/60Hz. The difference in using NO ND is significant with the 5dmk2. One Gripe that I have with these Variable NDs is that , When I start pulling focus. It shifts. Can somebody please design something which stops this from happening? Hi, Charles. I did experienced what you refer to in your post, with my Canon 50mm f1.8. As I also have a wider thread LC ND fader as well, I could solve it with this second one, through a step-up ring. Then it sort of “frees” from the focus pulling movement and both can work well independently. Hope it helps, though it would mean to have another ND fader… 🙁 Greetings. Ana. thx!. I just got my heliopan, not bad. the hard stops on it is very useful. not at all. smooth. if it clicked it would be unusable for me. I have to agree that the Lightcraft Fader ND MK 2 is way too soft. I regret buying it. This one looks more promising. Has anyone tried the new Fader ND from Tiffen? I am also interested in hearing more about the Tiffen. Supposedly no color cast as well. Holding sharpness at longer focal lengths is the key criteria for who will get my money! Any signs of vignetting with the 24-70 on a Canon 5d? I use a linear and circulair polarizer on top of eachother works perfect and is much more cheaper! Do you also use pola filter? If so, when ND and when pola? Can you recommend a good pola? Thanks Philip! Btw you made me wanna save for an Arri Alexa, but by the time I get the amount together the iphone probably makes better images! Has this been tested in a hand held situation? Does the ND change stops as you twist the camera once you have it set? Is the LCW Fader NDmk2 soft? I’ve never had this issue. I’ve used it for video (on a 5dmk2 with Canon’s 200mm F/2.8L wide open) as well as RAW time lapse stills (on a Tamron 17-50mm F/2.8 non-VC). Sharpness seemed fine. I actually had to add softness in post for some of the video shots for a more dreamy look. I don’t know what’s going on here. Could it be fake copies? LCW is always talking about how there are “imposters” or something out there. Variable ND filters are great until you use them on any lens past 85MM… They simply can’t produce a sharp image. Is this one any different? My Fader ND MKII is not even close to usable with my 70-200 2.8 IS II past 85mm. Please post a test using the 70-200 at 200mm both with and without the filter Philip! I would be highly interested in this if it produces significantly sharper results at telephoto lengths than the Fader ND MkII. Thanks! would really love to use a VND filter on my 7d and the canon 100-400m. i used the 1st LC Fader on the last surftrip, but it ruined the footage above 200mm… i’m really interested if there’s any solution. would also spend more money. i’m thinking of the Singh Ray or the Heliopan Variable ND mentioned here. Any advice? With Fader-ND’s, their size is not really what they advertise. For example, a 72mm is actually a 77mm with a step-down ring permanently attached. This means you can’t attach the lens hood. My question is, are the Heliopan 72mm and 77mm “really” 72mm and 77mm? No step-down rings attached? I have the thin singh-ray and live by it. I was just getting set to try the new Tiffen to keep on a second lens… at half the price. Back to fence sitting. Thanks, Philip, for the review. I don’t know about round NDs.. better off with the square ones.. Why is it that you can get a UV for $2 & an ND for $200? I recently purchased a GH2 and picked up a voigtlander 25mm F0.95. Now I’m in desperate need of ND filters/variable ND filter. Firstly, if I were to buy 77mm ND filters and use a 77-52mm step down ring would this in any way be detrimental to using 52mm ND filters? I’m looking at B+W NDs, but obviously I don’t want to shell out for new filters when I eventually get more lenses. Secondly, I bought the camera and lens with shooting video in mind (although I cant stop taking pictures! )Would it be advisable to go the variable ND route for video? The stuff I have in mind will be controlled with plenty of time to set up (i.e NOT run n’ gun)so I’m looking for better results over speed. Lastly, thanks in advance for replies and cheers Philip for your inexhaustible knowledge and advice. I don’t have any problems with this arrangement, especially using multi-coated filters. Hold them up to the light–if the reflections are green you’re good to go! You find any problem when you rotate the filter to maximum darkness and black lines captured, like the sigh ray one? If you’re on a super-tight budget the Polaroid Vari ND is insanely cheap (about £35) and does the job, albeity with slightly off markings and a temperature shift! Slightly soft but for the money it’s a bargain. Aghh, I need one of these so badly, its so damn bright in San Diego. Time to reconstruct the piggy bank. Philp: Having tried them all, what do you think about the Cameron vari-ND filters? I’ve been using a 77mm on my Tokina 11-16 for about a week now and can’t find a problem with it. $80, 1-8 stops, and no optical issues so far (supposedly the glass is from Hoya)…not even vignetting…which I’m surprised is an issue on a $400 filter! The min-max stop is a nice feature I admit…but not a $300 deal breaker for me. Sorry then I haven’t…never heard of that one! Just wondering how you rate the Heliopan variable compared to a good quality fixed ND filter with regards to sharpness etc? Will be using the filter for video and still photo work if it is up to the task. fixed ND from a good manufacturer will be better but this is damn close! I believe there have been issues with the Canon 24-105L and the Genus Fader ND… any reason to think that the Heliopan might have issues with this lens as well? I started out as a still photographers assistant and helped set up 1Ds and the like, for Automotive photography. All of them had in there kit bag big square filters with Grad’s & ND’s they would pop them in a Filter holder on the front of the lens much like a matt box. As you don’t rotate the Camera when shooting video as you want it landscape. Why do you prefer Variable ND’s over the Filter option? I now shoot car videos and often want to make the sky a bit moody, it is better to do this in post and shoot with a Variable ND over the whole of the image and darken up the sky in FCP?? than to go down the Filter route or would you have a Variable ND screwed to the front of the lens and still use some extra filters??? I’ve tried the Genus, Cameron and LCW variable nds with so so results. Especially the tendency to be soft at long focal lengths. My best effort resulted in combining an old 77mm HELIOPAN linear polarizer combined with a TIFFEN circular polarizer. it is quite sharp with a slight blue shift at it darkest setting. It’s quite heavy but when you need to run and gun it’s a great solution. 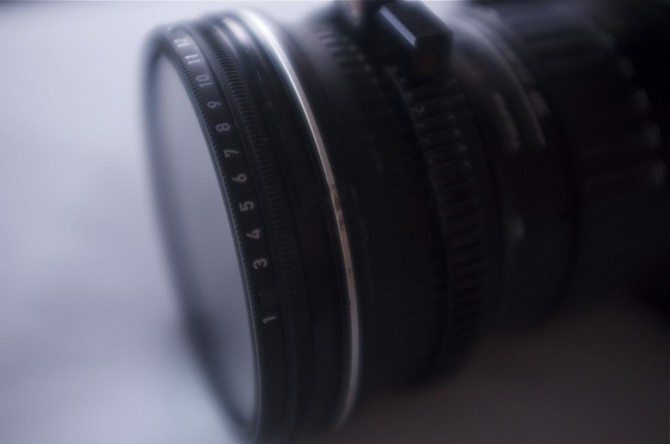 I am ready to purchase your recommended HELIOPAN Vari-ND filter. If it can produce a sharp image through all focal lengths I’m in. Thanks you Philip. Tiffen HT ND filters are pretty sweet. They just need to get you in the ballpark and you can fine tune with ISO. Then you have no drawbacks of vari-ND filters. Hummm, The X100 steals the show again. Think I’ll buy up whichever I find first! I’m UK based and can’t find the Heliopan 77mm anywhere either. Anybody found a supply? Ordered a Light Craft Workshop Fader ND based on this blog post. Looking forward to trying it out. I recently received my Light Craft Workshop Fader ND Mk II and am very pleased with it. I did some testing and found almost no loss of resolution. The filter is also quite neutral. Here is my full review of the Fader ND Mark II: http://www.quantumpie.com/light-craft-workshop-fader-nd-mark-ii-review/ if you are interested. Hello Philip, i was wondering if you can recommend a budget ND filter for me, i have just started shooting video with DSLR, i have the Canon EOS 60D. look for a fixed ND or a fader nd from lightcraft workshops. Is there anything wrong with a Polaroid 77mm Fader Variable ND Filter (£34.99)? It is obviously much cheaper. never tried it Louise. it may be ok…it may not!! I think one of the main questions with this is, how is the filter at 85mm or longer? I have a FaderND mark 2 which is good up until about 70mm, but 85mm and onwards it is really quite soft which is a shame as everything else is spot on. I would definately purchase the Heliopan version if the sharpness is still very good at the longer telephoto. Just to update on this, because of Philips review, I have now bought a Heliopan 77mm Vari Filter and can say using at 105mm on a 24-105mm lens on a 5D the hit in sharpness is hardly noticeable (and this is at 100% crop, you would never be able to tell on print). What a superb filter, massive difference compared to the lightcraft fader at the telephoto range. Wonderfully made filter aswell, feels very high quality!!! 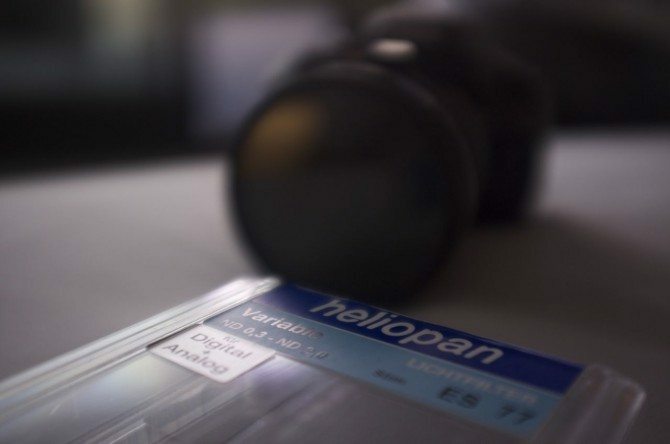 Have you tried the Heliopan at longer focal lengths – for example on the 100-400mm? My primary reason for getting an ND Filter is to shoot surfing using my zoom lens. Tried the Fader Mark II but was terribly soft, as well as greenish cast. only on a 200mm and it was fine! I just received my heliopan Variable ND filter 82mm version, but it is marked above 0.3 – 1.8ND and not ND-0.3 ND-2ND is normal for this version ? someone with 82mm there a ND-0.3 ND-2ND ? Originally, these filters were labelled as 0,3-2,0 but for technical production reasons, the 2,0 could not be guaranteed, so the manufacturer has changed the description of the filter to 0,3-1,8. It is still exactly the same filter as you would have bought a few weeks or months ago. The 1,8 is guaranteed and it is possible that the filter you receive goes up to somewhere between 1,8 and 2,0. Hi Richard, I bought the 77 from amazon (http://www.amazon.co.uk/gp/product/B004Y7FFI2) this turned out to be the ES 77 ND 0,3 – ND 1,8 “Slim” I was hoping for Phils version i.e. 0,3-2,0. I’m new to Phillip Bloom but if his admin people are reading this please thank him he’s awesome, I’ve learnt a lot from him, he’s totally watchable and a great communicator, his video, editing etc is just perfection, no wonder Lucasfilm wanted him, Phil should be on Leo Laportes Mostly Photo site talking about video. 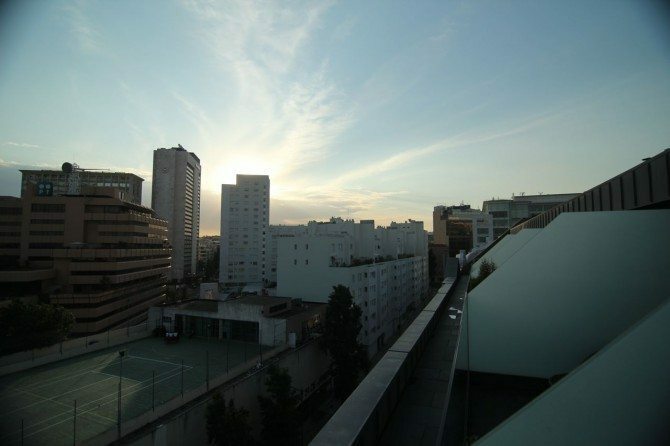 I wish to ask you in wich site did you bought the filter in Portugal. i bought it in a shop! Anyway, can I ask you a question? I find my Heliopan 77mm slightly sub par compared to what you’re describing here, so would you be so kind as to confirm a couple of points please? -The friction doesn’t seem to be always the same on my sample. The level of resistance is just right from markings 1 to 6, whereas it’s really loose from 6 to 12. Can you confirm? -The filter shows some severe vigneting past the 11 position. If I go all the way to 12, then I can see two ‘arc like shadowy shapes’ coming from the outside and converging towards the center, along with severe color shift (I’d post a picture but I don’t know how on your site). What’s the deal on your side? Thanx for clarifying this for me, as, never having used a vari version of nd filters before, I don’t know whether this is an expected behavior or if my sample is defective. my resitance is constant. at the end you will get the “arc like shadowy shapes” that is standard on all variable nds. Do you like the looks that the SingRay DUO is able to achieve with the polariser tweeks possible on the fly? Thanks for maintaining your blog, it so important to alot of us. I have been looking for one for a while, and after reading your review, took the plunge. Most sites are asking $443 but I found it on amazon.co.uk for 95 GBP (about USD150). Phil thanks for sharing, I’m about to bite my d*ck and just go ahead purchase a SR vari nd DUO. You have any experience using this unit with the combined polariser? Just wondering the unique looks possible on the fly with it. Ive tested just about every kind of filter out there and one kind stand out above and beyond all consistently and that is B+W MRC filters. Im a dealer for Heliopan, Horseman and Hoya Filters in Seattle, and Ive got SHPMC Heliopans on my Leica lenses, and they are great but I gotta say the MRC is where its at for heavy professional use in harsh environments. Phil thanks very much for sharing all your knowledge, yet again! I currently have a 60D and needed to buy vary ND filters on a budget for my Sigma 30mm 1.4 and Canon 17-55mm 2.8. Both Lightcraft and Genus have been mentioned. Recommend one over the other? Is there a difference between the slim and the normal version? H Phillip, I just got one of these is great, I have a thread hole (possibly missing a screw) next to the word Germany no screw in the case, maybe it’s intentional for assembling these ? is yours the same? 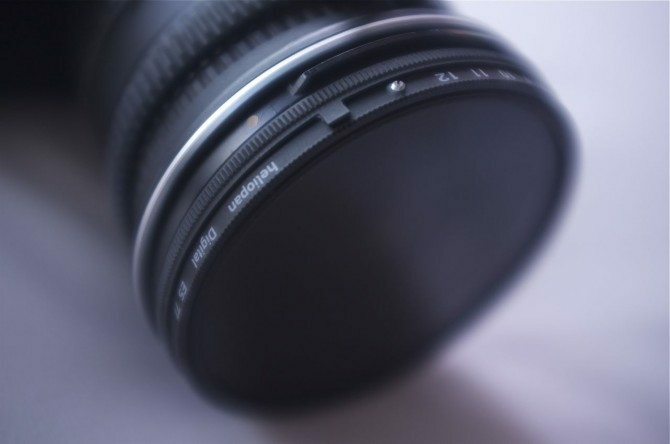 Is the third photo of the filter on your Tokina 11-16mm, at 11mm? Im planning to get a vari ND for convience on a holiday and wouldnt mind using it on my Tokina 11-16mm and canon 17-55 for wide angle waterfalls, beaches, etc. If it is not a Tokina 11mm pic, are you able to post or email me one? Also have you tried the Tiffen vari ND as well, thats the other one Im looking at. Is it not better to have a single nd400 (or less) and adjust the iso settings ? The fader nd aren’t as good as a single filter i can read on the net, do you see difference ? nope. Putting up high ISO looks ugly. Get a good fader ND. I have used them on every DSLR shoot INCLUDING Red Tails! 1.If heliopan is 10/10 in sharpness, how much would you rate lightcraft? 2.Which fader nd did you use in the RED TAILS? I wonder if the LCW 4×4 Fader ND is as sharp as LCW claim on their website. I can´t find a single review of this (expensive) solution. Are these two glass blades even better than the Heliopan Variable ND, in terms of sharpness and color shift? just registered to your site. I’m interested in knowing how thick the Heliopan filter is in comparsion to the SIngh-Ray regular and thin mount filters. I tried to check the heliopan site for specifications, but there isn’t much info available. Mainly concerned about vignetting with wide angle lenses with a full frame sensor. i love the heliopan over the singh ray. the thin helio pan will vignette only on the wide lenses. 24-70 should be fine! Philip, what brand do you recommend for fixed filters? I just got the Heliopan and started out with shooting a cloud timelapse in the broad daylight and snow covered mountains. The results were nothing short of unusable. I tried on the 7D with both the 24-105L at about 50mm and the Tokina at 16mm. They both gave the same miserable result; hour-glass darkening at correct exposure. I was using 1.3s shutter speed, but also tried at 0.5. The whole idea is that this thing is supposed to make for better timelapse by allowing the shutter to stay open longer though. Thoughts? you pushed it too far am afraid. Like every single variable ND out there there is maximum you can use it before you get that effect. This simply was not visible on-camera. When I am in the field (I film outdoor sports), how am I to know where “too far” is? I would hate to mess up filming a key sequence, but using high shutter speeds looks terrible (my only other option). sorry to disagree with Tracy but it is cleary visible in my extensive experience of using these filters for the past two years. I hate to say but I don’t think you were looking closely enough! Sorry! No need to be overly apologetic. Your candid thoughts are why we all love your site so much! Armed with your input, I am going to do another trial under the assumption that the blazing sun in the snow made this result difficult to appreciate on-camera. I will report back. OK, so the retest went better, but not great. I am only able to get up to 10/12 before the dark arcing starts to appear. It is very hard to see where it just starts to happen on-camera (at 12, yes, it is obvious with an LCD viewer). I do not understand why unusable levels are even available. It would be nice if I could use this with confidence. If it is pushed just a tiny bit too far (seems easy to do), nothing in post will fix it. because of the way polarisers work on a longer lens where you are not polarising solid colours like sky you will be able to go all the way! Previously you said you wouldn’t use variable ND filters for still photography. Is that still the case with the Heliopan? How about timelapses? have the heliopan and it’s really great… thanks phil for advice. Can’t seem to buy one in the UK, everywhere I look is out of stock and no timescale for incoming stock. Philip was talking about buying this filter from Europe, here’s a link to a site that sells Heliopan in Germany. They deliver at least Europe wide and the prices seems to be really good! Thanks for the great review Philip. I purchased mine because of you and thank god for your guidance because I had purchased three of them before-hand and results were so poor. Anyhow, I am getting the FS-700 so I will no longer be needing mine. If anyone here is having a hard time getting one, I am selling a 77mm off ebay along with some step-up rings shipping worldwide. Sorry if it not allowed to advertise items for sale here… Just figured some people would be happy to jump on a perfectly fine used one instead. Thanks again and keep up the awesome work! (A newbie so this might be a silly question). I’m getting the tokina 11-16mm, the canon 50mm 1.4, and the canon 100mm 2.8 macro for 7d. I want to purchase a solid filter. Will the Singh Ray fit on all of these, or do I need to purchase individuals filters to go on all 3 lens? Seems like I read that there were rings to make the Singh Ray fit on all sizes? A word of warning, I bought one of these from Amazon, it’s marked as a 0,3 ND – 1,8 ND, 77mm with screw size. The one I got has a deeper front ring than the one in the photos above. (The part with the numbers marked on it). I was getting quite a strong vignette with my 5d and 24 – 105 lens set to 24mm. The vignette goes away by about 35mm. I’m going to send this back and try the Tiffen instead. I’ve used only regular NDs so far, and I would like to ask if anybody has ever used a vari-ND together with a polarizer – could you have the long exposure and polarization effects in one and the same shot? Tiffen seem to be doing a promotion at the moment e.g. Hi, first, thanks for your work here Mr Bloom. do you think this Heliopan variable nd filter / slim version in 82mm with 82/77mm step down ring would avoid the little vignetting on that same tokina 11-16 ? or would that end up with the same issue due to the distance added because of the step down ring ? I’d like to buy the normal version because it has front threads (which will allow for a lens hood). Which one would you recommend? I am sorry mike I didn’t realise there was more than one type..
Sharpness – probably case by case. I was changing the ISO to use the ND so it was hard to access this. Probably need to test with stills adjusting shutter speed and maintaining the same ISO. That can be my next test, unless anyone can shed light on that. Philip, do you get “laser point” like reflections with this filter when directly shooting into the sun? I can’t shoot into the sun with my heliopan at all. Kind of annoying. I thought maybe mine’s faulty?! 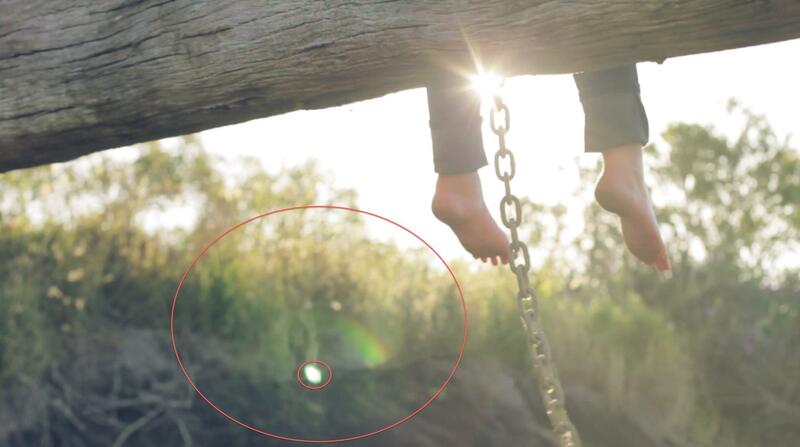 Here you could almost think it’s just a lens flare. But see that fully blown out white spot that I always get. Plus it’s actually reflecting a part of the frame… chain, legs etc. My expensive Polarisers don’t do that. Is that just how it is with Heliopan? this is the SLIM Version, right? If you use the 77mm Version it with an adapter on a Canon EF 50mm 1.2 L USM Lens, would you experience any vignetting or not?